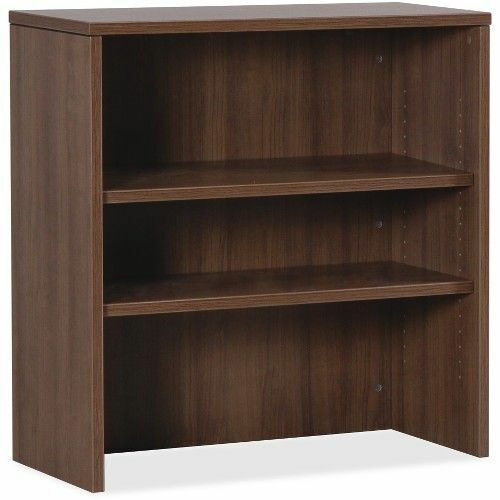 Stack-on bookshelf with two shelves is part of Lorell Essentials Series Laminate Furniture with high-quality laminate construction and metal-to-metal, cam-lock connections. Use for books, binders and display. Bookshelf easily attaches onto 35" wide lateral files in this collection.